Glanbia has come in for severe criticism from IFA President Eddie Downey over its decision to cut its milk price for September suppliers. Downey said that the decision by the Glanbia Board to cut its base milk price by 1c/l to 24c/l, even allowing for the 1c/l co-op topping it up to 25c/l including VAT, would leave its suppliers bitterly disappointed, and is raising questions on the pricing model that Glanbia Ingredients Ireland (GII) is pursuing. At a time when a market recovery is underway, this decision is a serious confidence blow to Glanbia dairy suppliers facing into an expensive winter, he said. “Farmers are under tremendous cash flow pressure, and needed to see their price at least maintained, and both Lakeland and Kerry must be commended on holding their September milk price. All other processors must follow their lead and maintain prices. “Glanbia shareholder suppliers legitimately expect that GII, the largest milk purchaser and processor in the country, would have the scale, efficiency and product mix advantages allowing it to pay, without co-op contributions, the most competitive milk price. “Glanbia farmers are now concerned that the pricing policy adopted by Glanbia is leaving them at a significant price disadvantage to other co-ops. How can this be?” Downey questioned. 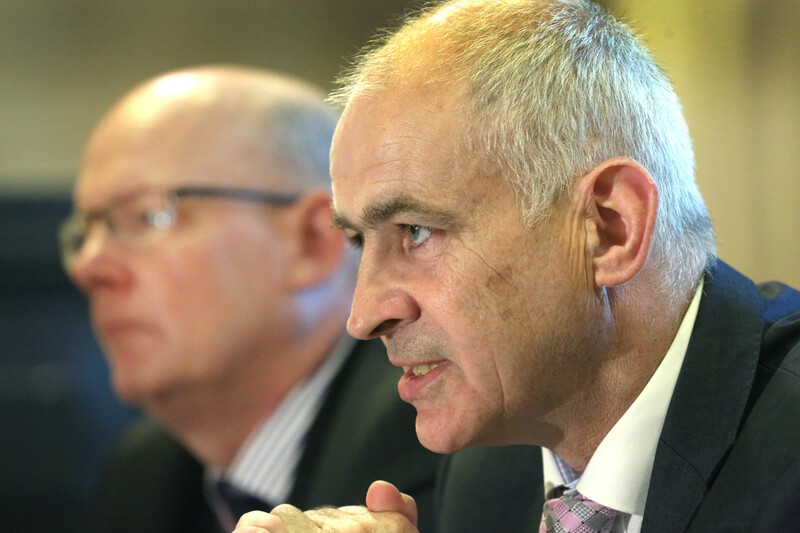 The IFA President Eddie Downey called on the Board of GII to review its approach on milk pricing. Kerry Group is holding its September milk price at 26c/L and Lakeland Dairies announced it was holding its September milk price at 26.25c/L.